The DAMS Momento 100 Ergonomic Cantilever desks are available in Right or Left-handed versions to suit your individual requirements. The Momento 100 desking range from Dams is manufactured in the UK to the highest quality standards. It comprises of 25mm desk tops with a steel double upright cantilever leg frame. The range offers a number of different combinations of desk pedestals and cupboards. 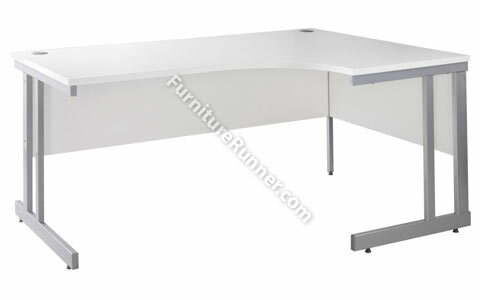 Features Include 25mm desk tops, 3mm ABS Edging, Adjustable feet, Double upright leg design, Lockable pedestals, Manufactured in UK, 24hr express delivery and Easy assembly.